I'm always impressed by 'multi artists', people who are truly good at more than one medium. Like a painter who also plays beautiful piano, or the sculptor who can likewise weave luxurious fabric. Many creative people do have their fingers in more than one pot. Myself, I absolutely loved photography while in high school, while sewing took a back seat. Now, I have to force myself to pick up the camera. However, I know few people that actually make and market more than one type of media. Kimberley Bush is one of them. She has tackled one of the more challenging mediums by working in clay and excels at one of the most difficult ceramics methods, raku. In addition, she makes soaps from "all natural and organic herbs which are combined with essential oils that give the soaps a long lasting smell that can fill a room with freshness." My favorite is the Cinnamon and Oatmeal, smells just like a cookie, I have to resist biting it! Now, come to think of it, her soaps are so fresh and lovely, so clean and crisp, they look perfect in her dishes. Perhaps not so strange after all, making a pot, and then making something to put into it? And, if creating these products wasn't keeping Kimberley busy enough, then she goes and starts up a new art market! The Alexandria Art Market will be held the every first Saturday of the month, June through November, with the exception of October, when Art on the Avenue is going on. Located just down the street from the farmers' market, shops, restaurants and plenty of parking on Mount Vernon Ave in Del Ray, the market will feature local and regional talent. A~ About 8 years ago, I fell in love with clay when a good friend of mine asked me to accompany her to the pottery studio. I touched the clay, played with the clay and formed crazy shapes that in fact, were completely non-functioning and quite unattractive. These creations lead me to taking classes at The Clay Queen and The Art League School in Alexandria, VA. At the Art League School, I got involved with their student/work program to learn the ins & outs of ceramics. Whether I was working on the pug team, glaze team or the kiln team, I was enthralled with the entire, glorious process of taking a mound of earth & transforming it into a work of art. Over the years I have been evolving as a potter and have a lovely line of porcelain and raku soap dishes, vases, bowls and display plates. A~ Working with clay keeps my mind and spirit moving positively forward....I am all about progression not regression plus when I see the smile of happiness come over the face of someone looking at my work....the work that I left a little bit of myself..my karma....all is well with in the world and I live..happily..to make another piece of art for another day. A~ Every day of my life is a great success story..this may sound very trite and corny but it is a sentiment that is true to me. But I can say that being asked (recently) to be the chairperson of a national juried exhibit is a success story. Being held in such a high regard to be asked to take on such a HUGE undertaking....allows me to have a heightened sense of accomplishment. Creating the Alexandria Art Market is a success story. Taking something from nothing that will benefit and touch numerous individuals is simply amazing! A~ I feel that ceasing working on my art after my Mom very sadly and unexpectedly passed away last July, while understandable, was a huge internal let down. Logically and sensibly I wanted to work but just couldn't find the energy to. I am fortunate not to have let her passing overcome my spirit so much that I was debilitated for too long. A~ I get bored easily so I would say that other artist's work provokes me to explore other shapes or ways of decorating my work. Although, sometimes ideas just come to me out of the blue and I just run with that. A~ The sheer instant gratification, unexpectedness and spontaneity of Raku and Horsehair pottery supplies my drive to keep creating it. It is kind of like that line from Forrest Gump...you never know what your gunna get. Both processes allow for unimagined variances and it just makes me giggle when the piece is complete. A~ I have a funny feeling that the Alexandria Art Market is going to be my favorite place to sell and show. I think that because it is something that will truly touch many lives, it will become one of the best endeavors I have ever been a part of and made come to life. It was something that was my idea and will be the product of my efforts and will be a good thing for many..many people. Life doesn't get better than that. A~ I get to do me and be me. It is all me that the world sees and feels. Not some huge conglomerate or an entity that has some random individual as its CEO...I am my own CEO and that is what people will receive and at the base of that title is a woman that doesn't have a PhD, MBA or even completed college but that has a soul that is in touch with doing the right thing which is giving rather than receiving. A~ Oh lord...this list can take up a wholelotta MBs on a website but the main things are lack of compassion/understanding/tolerance/patience/kindness, inability to let go and be the bigger person and selfishness. I guess inability of being able to effectively love someone or something for who they are and who they are not. A~ Again I am living my dream everyday. My art lives a life that starts in my mind, goes to my hands and completes its cycle living in someone else's life. That is a dream come true. A~ Keep on Keeping on. Put my two feet on the floor each morning and move through the world with positive energy for myself and all I encounter. A~ I live in Alexandria but at this time I have my studio in Fredericksburg. A~ Again...do you have time to read this list? I have traveled to several countries and really all of them would be an amazing place to live but I can say it would have to be a location that had definitive seasons. Some place where fall is full of colors, winter is billowy with soft flakes of snow, spring is newborn and summer brings on a great deal of perspiration. A~ Well, when I am not creating I am a Realtor and really enjoy being the catalysis for people in finding the home of their dreams and aspirations. I also volunteer for a organization that helps individuals in their homelife and their children in their educational life. I teach ceramics in an afterschool program in Southeast DC...this is incredibly satisfying. I am led by what I do and at this time it is taking the attributes I have been blessed with and sharing them with others. A~ Making Alexandria Art Market the place to be, the talk of the town and a unilateral GIGANTIC SUCCESS, even if by my own standards and not of others...and I must say my standards are pretty high. I am also in the process of being the chairperson for a grant program of a non-profit arts organization in DC..the grant that I will work diligently to fund will contribute to allowing an artist to complete their next project...again..it doesn't get any better than that...helping others..that is the essence of simple, gratifying existence. A~ The one question that really lets people know you are into them and not all caught up in your own affairs and makes them feel you really sincerely care is an honest to goodness from the heart.."How are you"? A~ Well, for the last several months since my mom passed the answer to that question has been "I am ok" or "I am fine" but I have progressed through my mourning and unfathomable sadness and can embrace my Mom in a different way and can appreciate her and her blessings in a different way. I can now actually say the word "good" and can say "I am good" or "I am well"..I can now greet people with a "Good Morning" versus "Hello or Morning"...it is very amazing how your lexicon can change because the players in your game of life change or in my case VERY SADLY expire. More information about Karma Krafts by Kimberley, ceramics and handcrafted soap can be found at www.karmakraftsbykimberley.com. She can be found at the Ballston Art & Craft Market THIS SATURDAY, May 8th, from 10am-4pm. The Alexandria Art Market will begin June 5th and run every first Saturday of the month (barring October) through November. Likewise, plenty of other 'Artists of the Month' from this blog will be in attendance. Full Sanction, comic book stick figure drawing experts, will be out in full force, with some hidden goodies. Boxboy, with all his kooky little boxes, will be there too. Green Tip~ Get your in touch with your interior little kid! 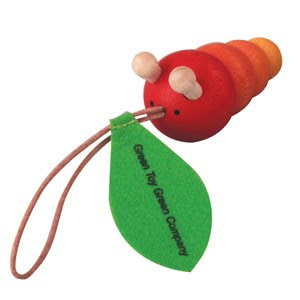 I just found a website called Stubby Pencil Studios, supposedly 'eco products for creative kids'. Wait, there's some really cool stuff here! Only for kids? Well, I wanna be a kid and have it too! 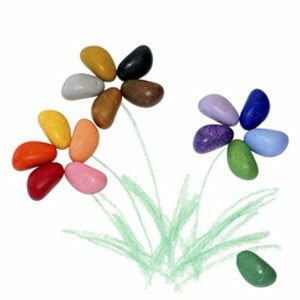 I especially like the Pebble Crayons, they look so pretty.. I've gotten the Smencils for Christmas and they smell good enough to eat! And, I LOVE the party favors section. Gifts, stocking stuffers and grab bag ideas starting under $2! This would be great for wedding favors, even. So, calling kids of all ages, heights and artistic talents, get over to Stubby Pencil and get your eco art on!